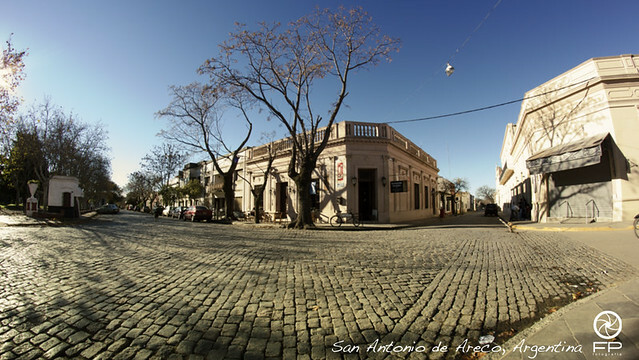 San Antonio de Areco: This gaucho town, just 113 Km’s away North West from the city centre, is the perfect place to find typical customs, native silverwork and to enjoy nature. Some of the recommended places to visit include the Museo Gauchesco y Parque Criollo Ricardo Guiraldes, the Museo Taller Draghi, and La Olla de Cobre for fantastic homemade chocolate and alfajores. Getting there takes two hours approximately by bus to Retiro. Where to stay: There are various estancias, inns and Bed & Breakfasts to choose from. Some of the more known options are Estancia La Porteña de Areco, and El Ombu de Areco. San Pedro: A little further up North, on the banks of the Paraná river is this small town that was founded in 1907, surrounding a Franciscan convent. Now a day it is a one of the most important fruit ports in the country. Places to visit include La Campiña, a fragrant orange farm open to the public, the Plazoleta Fray Cayetano, and the Fernando Garcia Curten art museum. It is also a great place for fishing and other aquatic activities. Where to stay: Hotel San Pedro Palace, the oldest hotel in the town which dates back to 1898 and is spick and span due to recent renovations. Lobos: This small town just 100km to the south west of Capital Federal is famous for its estancias, lake and outdoor life. It is also a historical town where both gaucho and indigenous culture clashed and where General Peron was born. Attractions include the Laguna de Lobos, the Peron museum, a museum of natural sciences and various estancias. Where to stay: Estancia la Candelaria-A top-notch estancia offering everything from gaucho shows to parachuting and massages in a gorgeous French style chateau surrounded by fragrant nature. Tandil: Further down south, the town of Tandil sits on the edge of the Sierras de Tandil providing a rugged terrain, perfect for rock climbing and trekking. It is also an important historical landmark as it was a big military fort where important battles were fought. The biggest attractions are natural landmarks such as the Cerro Centinela, Monte Calvario and Piedra Movediza amongst others. Tandil is also a special place for cured meats and cheeses. Where to stay: Posada de los Pajaros is set in the middle of the sierras providing for a tranquil atmosphere surrounded by nature. Otherwise stay at the Altos Avenida in the town center. This entry was posted in Argentine Culture, Off the Beaten Path and tagged argentina, buenos aires province, buenos aires,, Country side, day trip, estancias, Gauchos, Outdoors, recomended by Fierro Hotel Staff. Bookmark the permalink.